This guide was written for the Gemma board, but can be done with either the v1, v2 or Gemma M0. We recommend the Gemma M0 as it is easier to use and is more compatible with modern computers! Build yourself a buzzing bracelet for subtle haptic feedback as time passes! It's great for reminding yourself to get up and walk away from your desk for a few minutes each hour, or just as a way to have a new awareness of how the perception of passing time varies based on what you're doing. 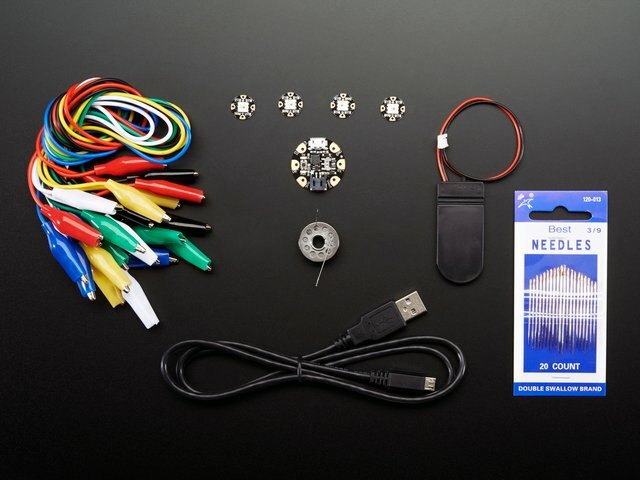 You'll whip up a vibrating motor circuit using a transistor, resistor, and diode, and use GEMMA to control the frequency of vibration in between low-power microcontroller naps. The circuit lives inside a linked leather/rubber bracelet, but you could build it into whatever you please. This project involves some precision soldering, but is otherwise quite easy! This diagram uses the Gemma v2 but you can also use the Gemma M0 or the original Gemma v1 with the exact same wiring! It's difficult to fit the circuit inside the bracelet if you build it first. We'll be building it as we go, interlocked with pieces of the bracelet for the most compact fit. Draw or glue the template to a piece of thick paper, illustration board, or piece of cardboard. Cut out the figure-8 shape using a sharp utility knife or craft blade. On the wrong side of your material, trace the template many times and carefully cut out a small pile of pieces using sharp scissors. Use a snap setting tool to attach the snap parts, or use velcro tape instead. Sandwich the two pieces wrong sides together, and place a figure-8 through the center hole. Fold the figure-8 flat so it creates a new sandwich for inserting the next piece. Repeat to build up a few links. GEMMA fits snugly between the layers, which expose the power switch but hide the USB connector and JST battery connector. Slide GEMMA in from the side, with digital pin 1 facing towards the working end of the chain. Poke a small hole in the center of the next link and insert one leg of the resistor (doesn’t matter which), then also through GEMMA’s pin 1. Twist the lead so it makes good mechanical contact with the solder pad. Next up is the transistor. Splay the leads away from each other, and use pliers to carefully bend them into place. 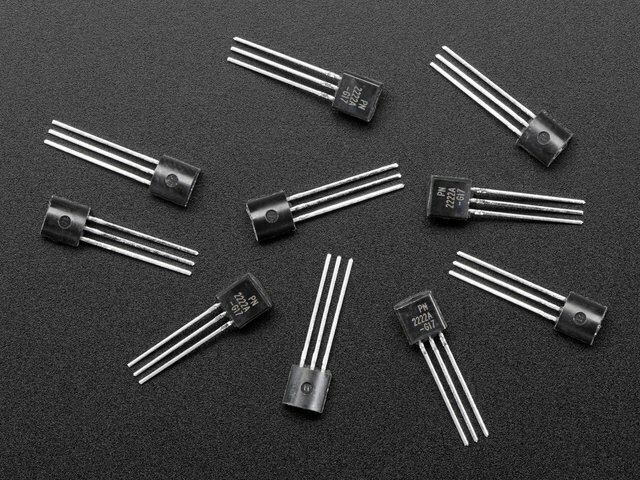 Pictured above, the flat side of the transistor faces the same way as the flat side of GEMMA. Solder the base and emitter pins, being careful not to singe the material of the bracelet (although black leather can be very forgiving in this regard). 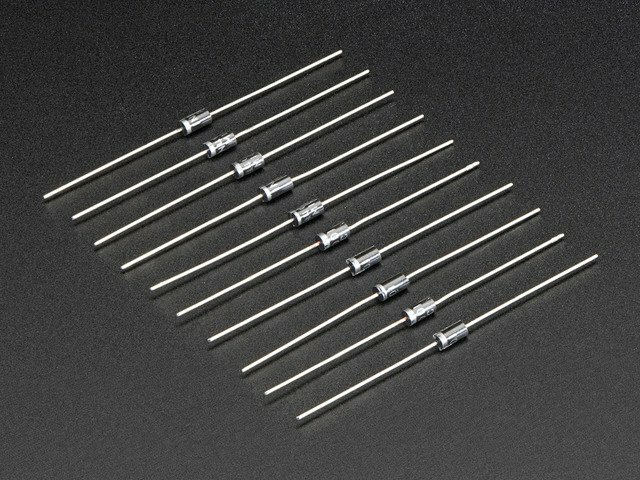 To prepare the motor/diode assembly, set up your diode in a third hand tool and tin the leads close to the diode itself. Hold the delicate motor wires up to the leads and remelt the solder to affix the motor. 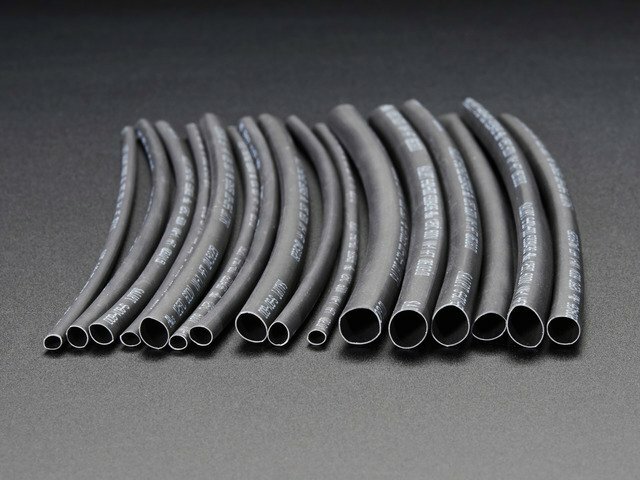 Use heat shrink tubing to insulate the leads and help protect the tiny stranded wires connected to the motor. Solder the motor/diode assembly to the transistor’s remaining pin (collector) and GEMMA Vin. The diode leads travel around the next link in the chain, concealing and protecting the circuit. This guide was written for the original Gemma and Gemma v2 boards. If you have a Gemma M0 you must use CircuitPython. We recommend the Gemma M0 or Circuit Playground Express as they are easier to use and are more compatible with modern computers! Load up the following code on Arduino GEMMA using the Arduino IDE. It should buzz the motor once per minute. If it's working, then adjust the interval variable to your desired number of seconds and reload the code. // vibrating motor (connected through transistor) at regular intervals. // hardware shenanigans in order to conserve battery power. // on the component side of the board. // The chip's 'watchdog timer' (WDT) is used to wake up the CPU when needed. // WDT runs on its own 128 KHz clock source independent of main CPU clock. // require keeping the CPU awake, draining the battery much quicker. // tiny bits of power. Some have side-effects, don't do this willy-nilly. // ubersleep() function and re-enabled on wake. // WDT timer operates only in specific intervals based on a prescaler. }; // Remember, WDT clock is uncalibrated, times are "ish"
GEMMA M0 boards can run CircuitPython — a different approach to programming compared to Arduino sketches. In fact, CircuitPython comes factory pre-loaded on GEMMA M0. 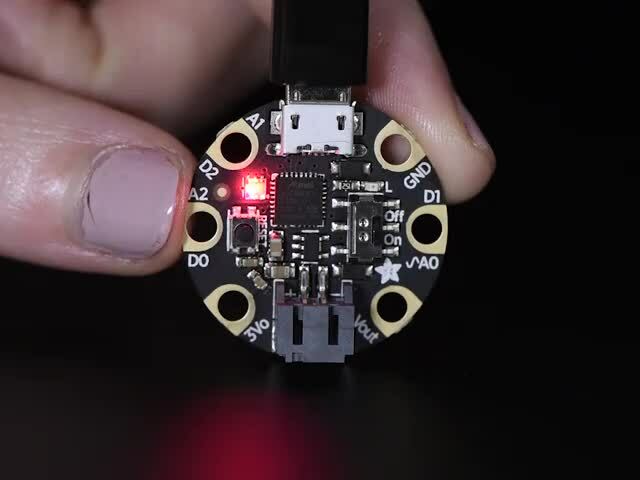 If you’ve overwritten it with an Arduino sketch, or just want to learn the basics of setting up and using CircuitPython, this is explained in the Adafruit GEMMA M0 guide. These directions are specific to the “M0” GEMMA board. The original GEMMA with an 8-bit AVR microcontroller doesn’t run CircuitPython…for those boards, use the Arduino sketch on the “Arduino code” page of this guide. Below is CircuitPython code that works similarly (though not exactly the same) as the Arduino sketch shown on a prior page. To use this, plug the GEMMA M0 into USB…it should show up on your computer as a small flash drive…then edit the file “main.py” with your text editor of choice. Select and copy the code below and paste it into that file, entirely replacing its contents (don’t mix it in with lingering bits of old code). When you save the file, the code should start running almost immediately (if not, see notes at the bottom of this page). 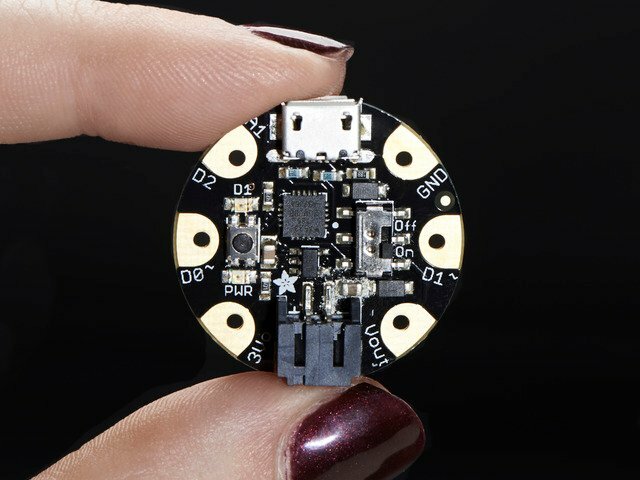 If GEMMA M0 doesn’t show up as a drive, follow the GEMMA M0 guide link above to prepare the board for CircuitPython. # vibrating motor (connected through transistor) at regular intervals. Add enough links after your circuit for your bracelet to fit your wrist. Peel off the paper backing from the motor and stick it in between layers of material. Put some black tape or heat shrink tubing around your battery and plug it in. 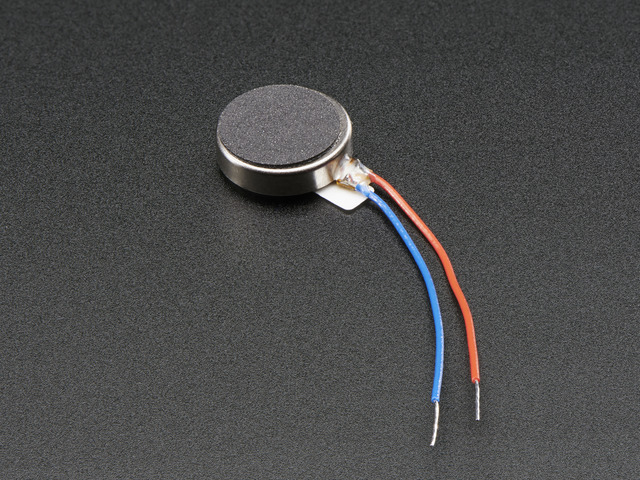 Wind the wire through the bracelet and tuck the battery between the layers of material. Loop the closure tab through the last link and wear it! Your bracelet is not waterproof! You can take steps to ruggedize your circuit to make it more splash resistant, if that's your thing. You can customize your bracelet's vibration by changing up the Arduino code. 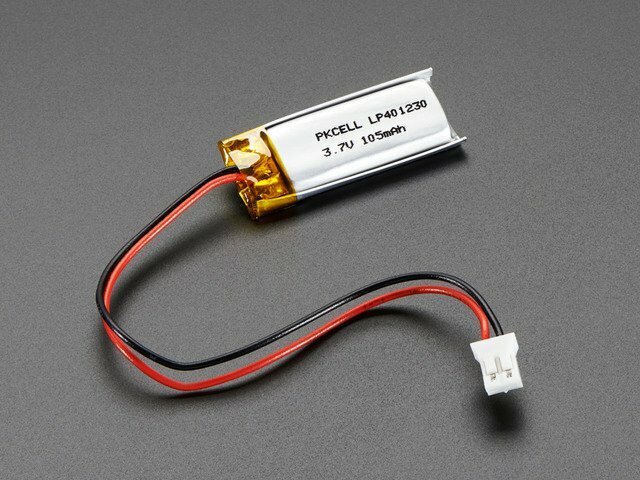 Maybe try using PWM to give the vibration more nuance or create different buzz patterns for different spans of time passed-- how would you make this project your own? This guide was first published on Jun 10, 2015. It was last updated on Jun 10, 2015. Wear a crown of LEDs for your birthday or prom! Setup the Arduino IDE to work with Trinket, Gemma, Flora, and more!